Ted Lemon takes us through the evolution of his ‘Extreme Sonoma Coast’ Thieriot Vineyard Chardonnay and The Haven Pinot Noir. In probably what is the strongest evidence that the Singapore wine scene is truly evolving to a sophisticated consumers market, we are increasingly seeing some of the very best wines from the USA here. Putting this in to perspective, many of these producers sell out in their home market moreover have wait lists for cellar door allocations, and are normally rarely found outside of America. Perhaps it is sign of how important Asia market is becoming when highly respected practitioners like Ted Lemon at Littorai make the effort to come all this way to stimulate and enlighten the palates of Singaporean wine enthusiasts. Ted is in fact coming from the deep south of New Zealand, from Central Otago where he is preparing for vintage at Burn Cottage, where he is the consulting viticulturist and winemaker and coaching them in biodynamic practices. “The simple version of Ted Lemon’s story: Young American goes to Burgundy. 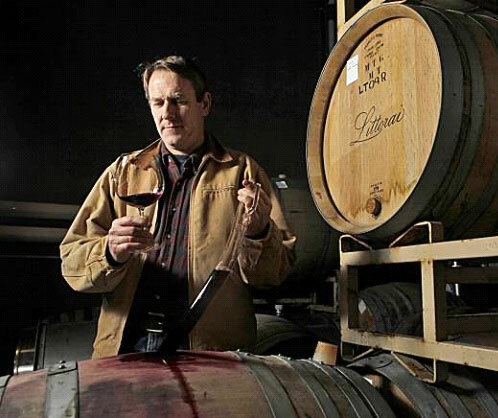 Becomes first American to run a Burgundian wine estate. Comes back and stays true to Pinot’s motherland. That would be the easy version, but it misses a crucial fact. For a quarter-century, Lemon has been hunting along the remote California coast, seeking places that speak absolutely of their roots and making wines that purely reflect a California sense of place. Few winemakers are as committed as Lemon to the sanctity of California terroir. I really don’t need to add to Bonné summation of Ted Lemon and Littorai wines, although it is important to grasp Lemon is making wines that have no resemblance to the high-alcohol, overripe and extracted wines that are typecast in US, which is presently experiencing the hyberbole of wine critics and polarising consumer preference. He is also a leading practitioner of biodynamics with their 30 acres of stunning property in rolling hills on a ridge top in the Sonoma Coast farmed biodynamically and using only organically certified materials. The whole property is farmed as a self sustaining, integrated and diversified farm and their new winery is an environmentally sensitive building constructed of straw bales and using gravity flow for wine production. All of the process waste from winemaking is recycled through a constructed wetlands system and re-used for vineyard and property irrigation. Having met Ted Lemon several times now, he strikes me as one of the most humblest wine geniuses on this planet, which I guess is characteristic of people who really know what they are doing and talking about. Lemon is articulate in his knowledge and passion in a very down to earth manner and has an infectious genuineness and ability to engage and involve people in stimulating conversation on wine, food and the environment. He is well-travelled and adding to his worldly experience has a unique skill-set in working with some of Burgundies top vignerons, which one assume lurks in his winemaking philosophy but perhaps not in his obsession to make wines that have their own “sense of place”. This will be a fascinating master class and opportunity to learn more on the “Extreme Sonoma Coast” appellation and Ted Lemon’s wealth of experience – not to mention a fantastic vertical of his two cuvees, Thieriot Vineyard Chardonnay and Haven Pinot Noir. SGD$70 per person – 4:00pm to 5:00pm, 9th April 2011 at St. Regis Hotel, Boardroom 5. Pinot Palooza – Melbourne – Sunday Oct 21 – Do you like Pinot Noir? Do you love Pinot Noir? Do you need to find out more about Pinot Noir, to see what all the fuss is about?